3 The American family continues to change. A growing share of parents are unmarried. Among parents living with a child, the share who are unmarried increased from 7% in 1968 to 25% in 2017. Part of this increase is due to a growing share of unmarried parents cohabiting, as 35% of unmarried parents were in 2017. Over the same period, the share of U.S. children living with an unmarried parent more than doubled, from 13% in 1968 to 32% in 2017. 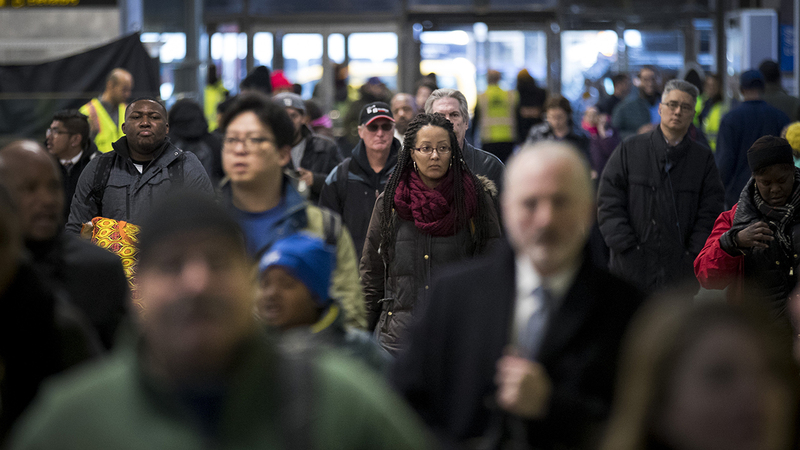 5The U.S. unauthorized immigrant population is at its lowest level in more than a decade. There were 10.7 million unauthorized immigrants living in the U.S. in 2016, the lowest total since 2004, according to the most recent Pew Research Center estimates. The decrease is due mainly to fewer Mexicans entering the U.S. without authorization. 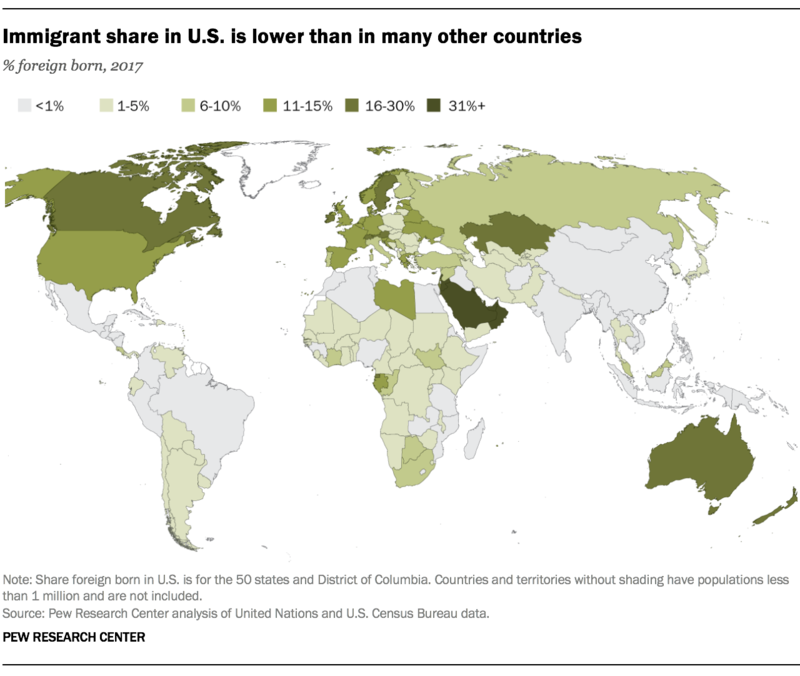 The only birth region with an increase in unauthorized immigrants since 2007 was Central America – mainly El Salvador, Guatemala and Honduras. Only three of the nation’s 20 largest metropolitan areas had larger unauthorized immigrant populations in 2016 than in 2007. 6 Incomes are rising in the U.S., but the increase is not being felt equally by all Americans. Household income in the U.S. is at or near the highest level it has been in the last 50 years. At the same time, income inequality continues to grow, and the growth has been more pronounced among some racial and ethnic groups than among others. For example, the gap between Asians at the top and bottom of the income ladder nearly doubled between 1970 and 2016. Over that period, Asians went from being one of the groups with the lowest income inequality to the highest. A separate analysis found that, among Hispanics, the median income of foreign-born workers – but not U.S.-born workers – had returned to its pre-Great Recession peak in 2017. More broadly, the public also sees differences by race and ethnicity when it comes to getting ahead in the U.S. today. A majority of Americans (56%) say that being black hurts a person’s ability to get ahead a lot or a little, while 51% say being Hispanic is a disadvantage, according to a recent Pew Research Center survey. In contrast, about six-in-ten (59%) say being white helps a person’s ability to get ahead in the U.S. today. Views on the impact of being Asian are more mixed.